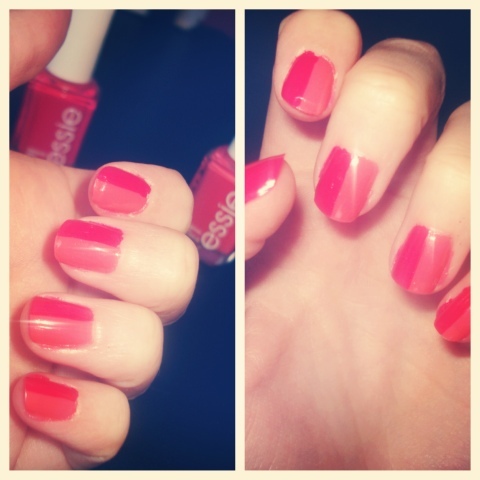 DIY Nails: Tips & Tutorials: Two is Better Than One! 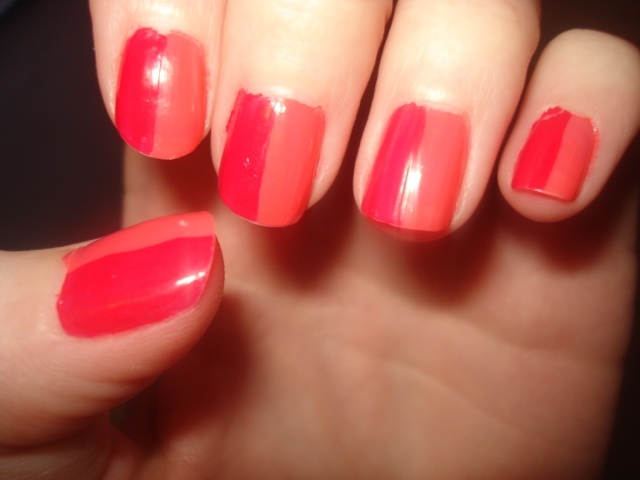 Trends for this summer are fun, bright, detailed, funky nails! These nails follow the trends, and the best part? They're super easy to do! You could do this style using any two colours, but I like it best with lighter and slightly darker shades of the same colour. This will create a subtle, but interesting look that will make both colours pop! Start with your lighter colour (just in case your first line isn't the straightest, you can cover it up with the darker colour), and carefully brush a straight line from the bottom of your nail to the top, cutting your nail into halves. Fill in the rest of that half with the same colour. Wait for It to dry, then do the other. Don't forget your base and top coats! TIP: choose a polish that doesn't require more than one coat, just to avoid mess-ups. 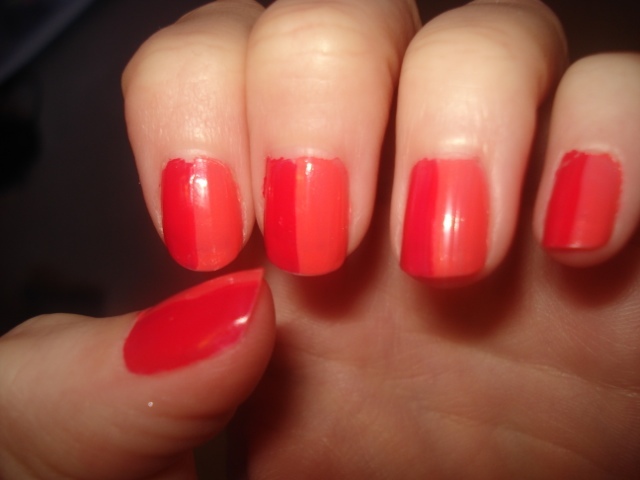 Here, I used Essie polish for both colours, and it worked really well! This is one of my favorite summer looks, it is very fun and funky!